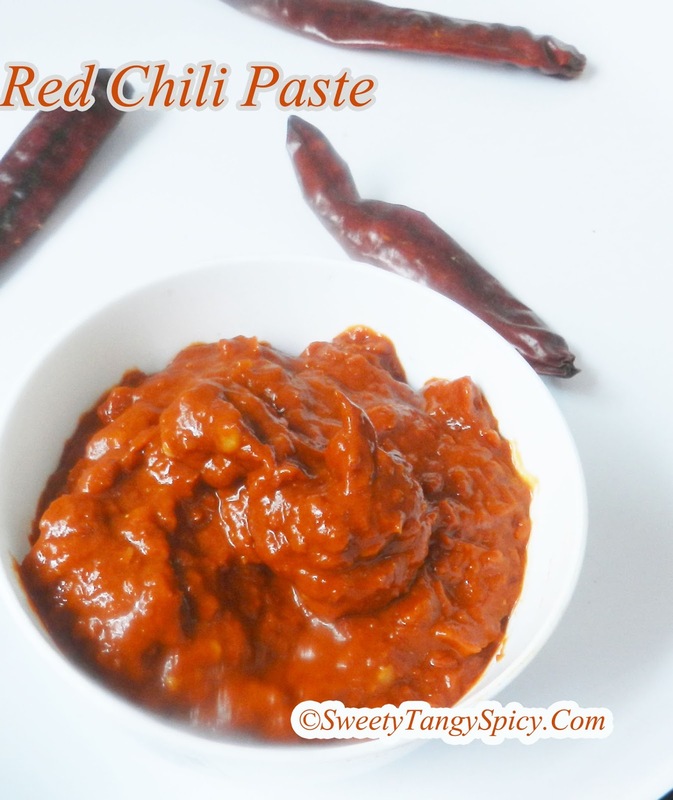 Making red chili paste is really simple and used in many Chinese and Asian cuisines to induce color. Any colourful non-spicy varieties of chili can be used. 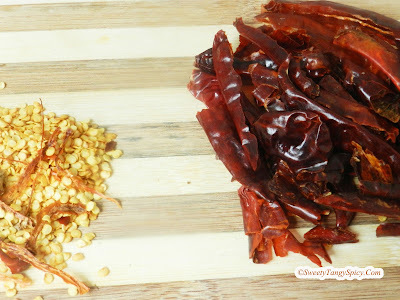 Take any less spicy 20 to 25 dried red chillies. 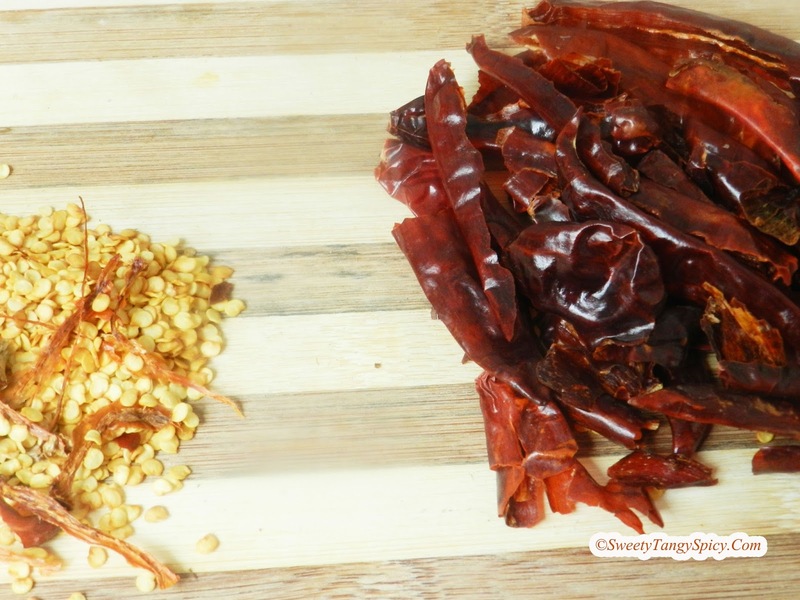 To reduce the spiciness, remove the entire seeds and take outer skin only. 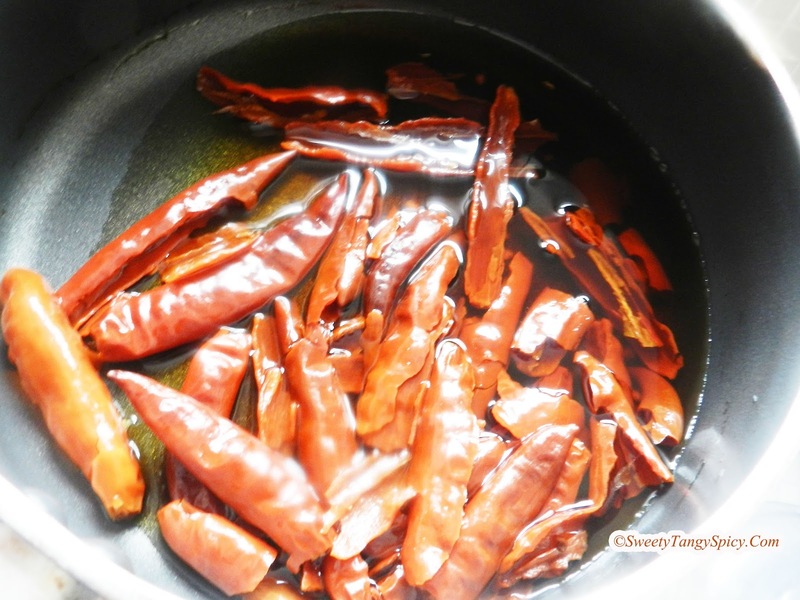 Boil 1 cup of water in a pan, add red chillies and 1 teaspoon vinegar. (Note: Vinegar brings colour.) Boil it till they became soft. Drain and make fine paste in a mixer grinder. Add water if necessary. Note: You can use the same water that we used for cooking. 20 to 25 red chillies. 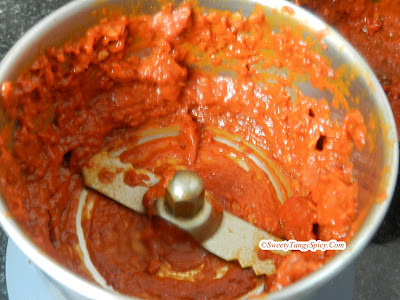 Direction of preparation of red chili paste. Remove entire seeds from red chilies. Boil them for ten to fifteen minutes in water with 1 teaspoon oil till turns transparent. Drain and blend into a fine paste in a mixer grinder. Add water if necessary. Heat oil in a pan, toss for four to five minutes, store in the refrigerator when it cools down completely. If you want to store this, heat 3 tablespoon of oil in a pan and toss it for four to five minutes. 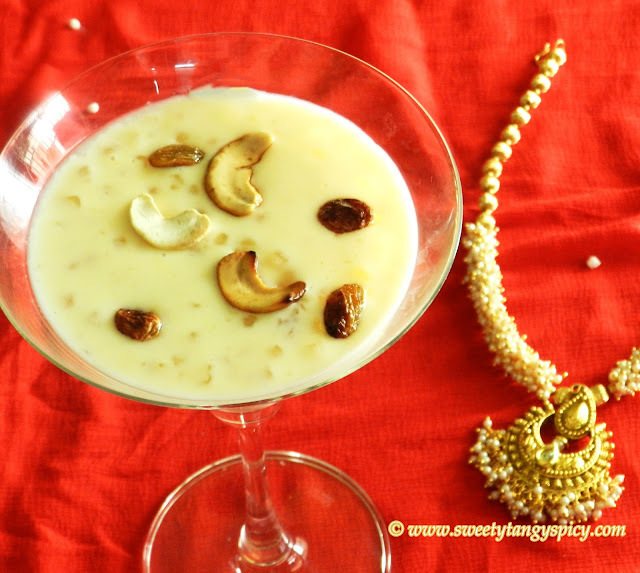 Let it cool down completely and refrigerate it in an airtight container. Use as required.